Today in this post I will tell you how you can lock your any drive of your computer using BitLocker. BitLocker by Microsoft helps you to protect your data on your computer which comes with Ultimate and Enterprise editions of Windows Vista and Windows 7. 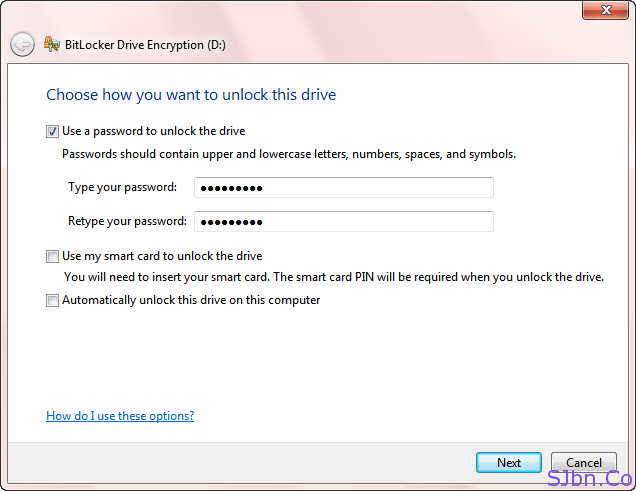 Using BitLocker you will able to fully encrypt your any drive or pen drive. It will take time to encrypt your drive depending on the size of your drive. You can shut down your computer in between, next time when you will start your computer it will continue from where it stopped. * Recovery Key will help you incase if you forget your password. After it got encrypted, next time when you will start your computer you will need to provide password to access files in that drive (you will need to provide password every time you will start your computer).